Your college experience is meant to be life changing — to open doors and shape you for a significant career and life. That’s why Regent University, Virginia Beach, equips students with knowledge and faith, together. Whether you study online or on campus, you’ll enjoy classes that challenge your mind and advance your skills. Student life at Regent helps you develop friendships that make you stronger and Christ-centered character that helps you embrace your purpose and serve with vision. Below, you’ll learn more about flexible on campus housing options, comfortable college dining facilities and plenty of activities to help you develop a strong sense of community. Regent University has contracted with MBS Direct to provide a bookstore. MBS Direct Online Bookstore allows you the opportunity to see all of your required and recommended books according to your course registration. You can also search for textbook information for all classes as you make registration decisions. MBS Direct Online Bookstore offers competitive pricing, upfront guaranteed buyback offers, rental options, financial aid credit, 24/7 customer support, and free ground shipping at the start of each term. Regent also provides an on-campus gift shop, located on the first floor of the Student Center. Stocked with Regent student and alum favorites, you can purchase Regent clothing, gifts, school supplies, and snacks there. The gift shop also sells clothes and gift items online at www.regent.edu/giftshop. Regent Ordinary, located in the Student Center, is a quaint college dining establishment providing great food, cafeteria style, at great prices. Additional housekeeping fees also apply. The Student Center is the nerve center of campus life at Regent. It houses the whimsical, spacious student lounge, which is packed with plenty of sofas, chairs and games that invite students to relax and socialize. A coffee shop was added in February 2016, and serves as a favorite gathering place for friends. Living on campus is a positive, safe and engaging experience at Regent. 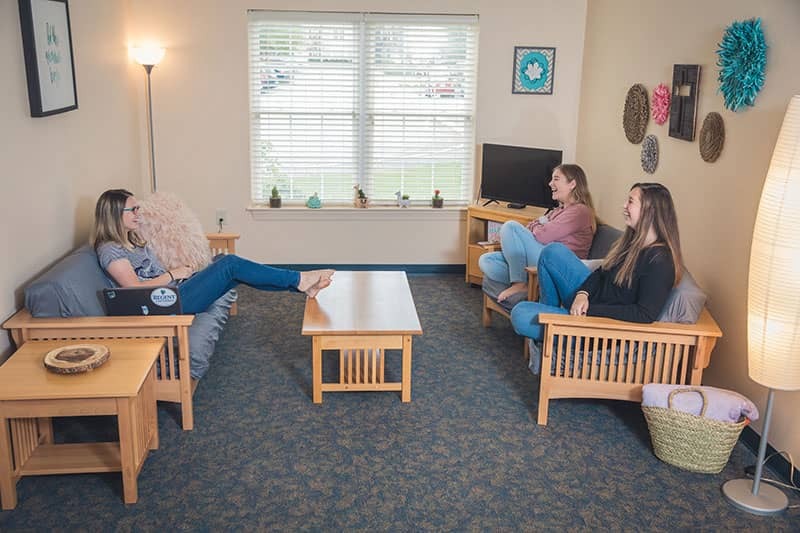 Students enjoy community-building activities with their hall mates, facilitated by Resident Assistants (RAs), participate in weekly Life Group meetings, and learn how to live as part of a greater community. Regent offers two on campus housing options to fit your needs: Regent Commons and Regent Village. Regent Commons, primarily for single undergrads ages 17-24, offers fully furnished apartment-style living with versatile floor plans, which range in size from studio to four-bedroom suites. 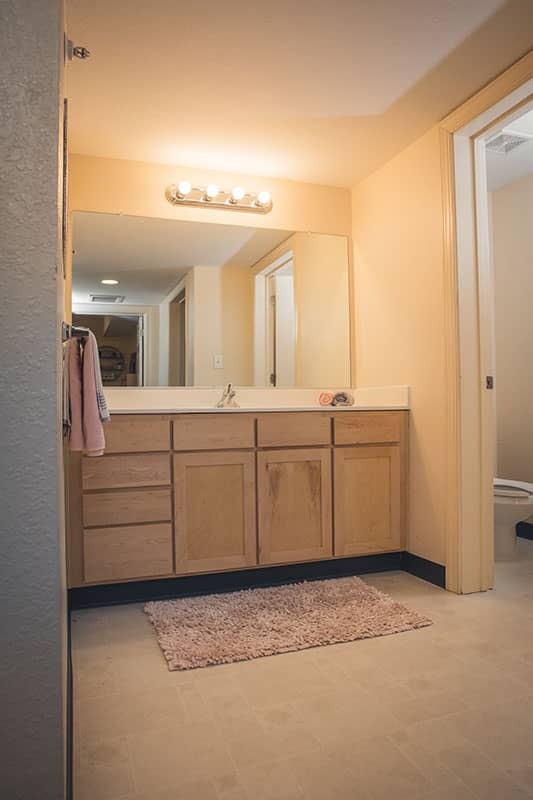 Enjoy wireless Internet and cable TV service, all utilities included and amenities such as a 24-hour fitness center, courtesy washers and dryers, 24-hour security, and plenty of campus life activities. You’ll find easy access to nearby malls, restaurants and the spectacular oceanfront of Virginia Beach. All first-year freshmen taking classes on campus (ages 17 to 24) who live outside of a 25-mile radius of Regent campus are required to live on campus in Regent Commons. Campus housing is available mid-August to early May. However, due to limited space, students beginning classes in the middle of a semester (Sessions B & D) cannot be guaranteed immediate housing, and may work with the Housing Office for alternative solutions. Regent Commons offers three different floor plans to residents. Triple Occupancy One Bedroom – 600 sq. ft. Double Occupancy Studio – 370 sq. ft.
Suite – 1440 sq. ft.
1) How soon can I apply for housing? Once you have been accepted as a student to the university, you are eligible to apply for housing. Complete the application online and submit the $350 non-refundable application fee/housing deposit ($150 enrollment deposit + $200 housing deposit). The application and deposit are together in the same online form and can only be submitted/accepted online through the Student Housing website. 2) What are the qualifications for living in Student Housing? An individual residing in Student Housing must be classified as a full-time student (enrolled in a minimum of 12 credit hours) taking at least 9 credit hours on campus (as opposed to online). Students with special circumstances or degree requirements should contact the Student Housing Office if they are not able to register for 9 credit hours on campus. Yes. Cable television, wireless Internet, electricity, water, trash and sewage are included in the semester fee. 4) Are families with children eligible for Student Housing? No. Regent Commons is for single undergraduate students between the ages of 18-24. Married students/students with families looking for housing in the Virginia Beach area are welcome to use our Off-Campus Housing Resources located at the bottom of this page. 5) How far are the Student Housing complexes from the campus? Regent Commons is located on campus. 6) Are there groceries and shopping nearby? Several shopping centers near campus are easily accessible by automobile, public transportation and/or walking. 7) Does the university have storage areas available? No. Currently the university does not have storage units available. However, several independent storage facilities are located in the immediate area (American Classic: 757.420.7676). 8) Can I store my boat in the parking lot? The parking lot is for motor vehicles only, which includes automobiles, motorcycles and pick-up trucks. You may not park boats, trailers of any kind, mobile homes, campers, buses or trucks larger than three-quarter ton without prior consent of the Student Housing Management Office. Inoperable vehicles or vehicles with expired registrations are not allowed to be parked on the property. Conducting major vehicle repairs in the parking lot is prohibited. Do not leave cars on jacks unattended. As a courtesy to our residents in wheelchairs, we ask that you do not park your vehicle in a manner that would result in it protruding over the sidewalk. 9) What appliances are included in the apartment? Each apartment has a refrigerator, stove/oven, microwave, dishwasher and garbage disposal. 10) How long is the housing agreement? Is there a minimum or maximum time that I may occupy a space? The Student Housing Agreement is for an entire academic year (fall and spring semesters – mid/late August to early May) with the exception of seniors graduating in December and new incoming students beginning classes in January. Students who choose to prematurely terminate their Housing Agreement will forfeit their $200 housing deposit and may be responsible for semester housing fees included on their original agreement. Pets are not allowed in student housing assignments or anywhere on the residential area premises. This includes guests staying in your housing assignment. Visitors would need to make other arrangements for their pets before visiting Student Housing. Fresh water aquariums are permitted, but limited to 5 gallons in size. Service dogs are permitted for those individuals with registered disabilities. 12) How many vehicles am I allowed to park in the complex? Students are allowed to park one vehicle in the complex. 13) Do the apartments utilize a security service? Regent Commons is locked 24 hours a day, 7 days a week and accessible by electronic key card. Campus Police and Residence Life Staff perform regular rounds of the buildings to ensure the safety of all students. 14) If I am visiting the area, can I tour a model? The Commons Housing Office is an example of an apartment. 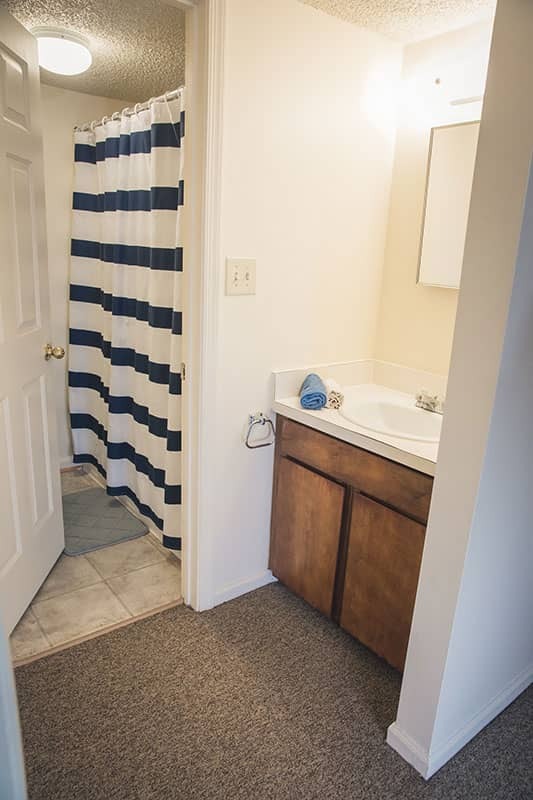 In addition, we have floor plans you may view in the above tab labeled “Floor Plans”. Due to the demand for student housing, we do not have a model apartment available, but tours may be scheduled through the Welcome Center by contacting 757.352.4837. 15) Do the apartments offer Internet access? Yes. Wireless Internet access is included in the semester fee. 16) What about cable TV? Yes. The expanded package is included in the semester fee. Additional services may be purchased from Cox Communications external link by the student. 17) Are new students guaranteed housing? On-campus housing is available on a first-come, first-served basis, and there is a limited amount of apartment units. We suggest submitting your housing application as soon as you are able to. While Housing Office Staff do their best to accommodate all incoming students, housing is not guaranteed. 18) How will the Student Housing Office staff communicate with me? We prefer to communicate with prospective students by e-mail, but please inform us if another method of communication would be more appropriate for you. 19) When will I find out if I am assigned an apartment? Fall housing assignments are finalized in mid-July, and spring semester assignments are finalized before the University closes for Christmas break. Once your housing assignment has been made, you may view it in Genisys by going to Main Menu > Student > Housing Menu > Housing Information. 20) Are special accommodations available for individuals with disabilities? Yes. Students with disabilities should contact the Office of Disability Services at 757.352.4797 or email them at disabilities@regent.edu regarding general disability accommodations as well as medical room requests. Please inform the Student Housing Office if you require any special accommodations as well. 21) Can I bring my own furniture? No. Regent Commons is fully furnished. Additional furniture is not permitted. 22) Is there a swimming pool? No. We do not have a swimming pool in Student Housing. 23) Do I have to move out during the summer semester? 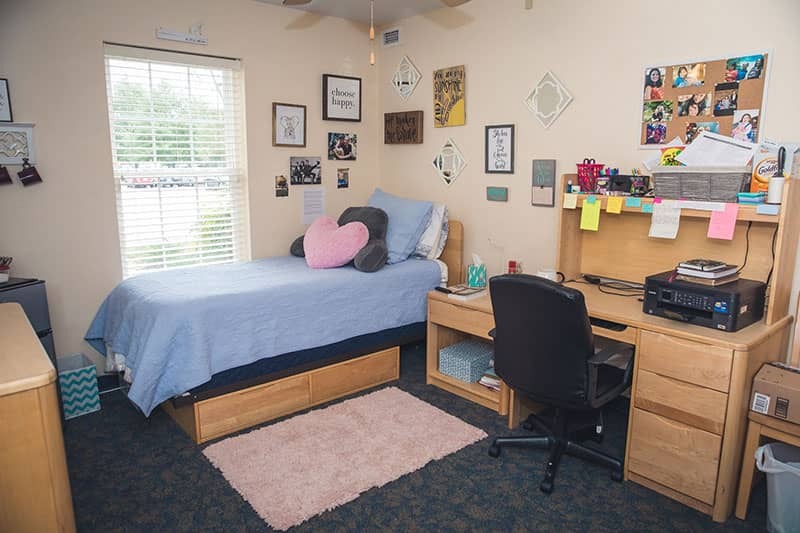 Summer semester housing is available to students who are enrolled in summer classes, working on campus, or participating in an academic internship in the Virginia Beach area. Students who do not meet any of these criteria will be required to vacate their housing assignment in early May. 24) Can we have overnight guests? 25) Can my student loans pay for my student housing charges? Yes, but this depends upon your financial aid. You should discuss this further with your financial aid counselor. 26) Where can I pay my semester fee? You may pay your semester fee on campus at the Business Office (Administration Building, Room 134), or you may pay online with a credit card through Genisys (login to the MyRegent portal and click the Genisys logo). 27) Is there a place for my bike? Yes. We have bicycle racks at various locations within the Commons. 28) Does the Regent Ordinary offer meal plans? 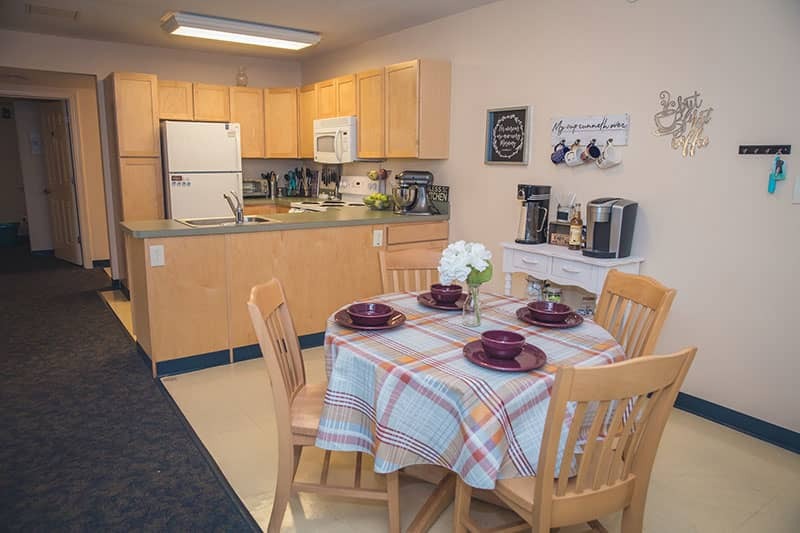 Since each of the apartments in the Regent Commons and Village have full kitchens, including ovens and microwaves, the Regent Ordinary does not offer meal plans for students. However, they offer reloadable gift cards that can be purchased or reloaded with any amount at www.regent.edu/giftcard. Regent Village, also for singles, is generally reserved for traditional-age upperclassmen undergraduate students (17-24), older undergraduate students (ages 25+), and graduate students. The Village offers the convenience of living near campus and the atmosphere of a more traditional neighborhood, plus spacious floor plans and multiple outdoor recreational areas. 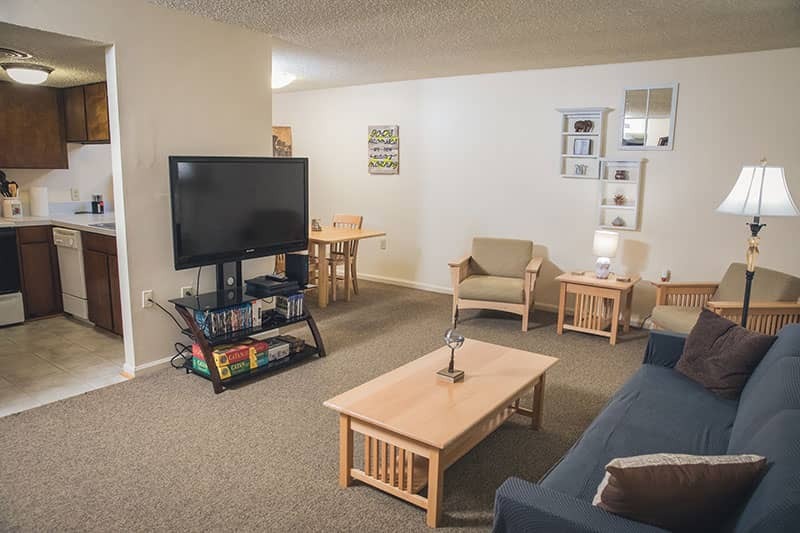 Meticulously maintained, these spacious apartments are fully furnished for traditional-age undergraduate students. A variety of both furnished and unfurnished options are available for older-undergraduate (25+) and graduate students, along with a variety of floor plan configurations. A free shuttle operates between Regent Village and the school. Other amenities include balconies/porches, a community building and cost-inclusive laundry facility, playground, basketball and volleyball courts, 24-hour security, refrigerator/freezer, stove/oven, dishwasher and sink, as well as cable TV and internet – all included in housing fees. Regent Student Housing is happy to offer married students resources for securing off-campus housing according to their needs. Cable, internet service, water, sewage and garbage disposal included in student housing fees. Regent Village offers three different floor plans to residents. Once you have been accepted as an on campus student to the university, you will need to complete the application and submit it online to the Student Housing Office with a $30 non-refundable application fee. Applications are not processed until the fee is received. Traditional age undergraduate students (ages 17-24) must fill out the combined Enrollment Agreement that also includes the housing deposit. An individual residing in Student Housing must be classified as a full-time, resident student taking classes on campus (as opposed to online). During the academic calendar year, graduate students and non-traditional undergraduate students must be enrolled in two semesters out of three. Water, trash, sewage and electricity are included in the monthly student housing charges for double-occupancy assignments (student housing units with roommates). Electricity, the only other utility, is not included in the monthly charges for graduate single occupancy student assigned units. Students with single occupancy units are responsible for contacting Dominion Virginia Power at 1.888.667.3000 after receiving a confirmation letter from Student Housing about their placement in housing to set up an electricity account in their name. 4) Are married students/families with children eligible for Student Housing? No. 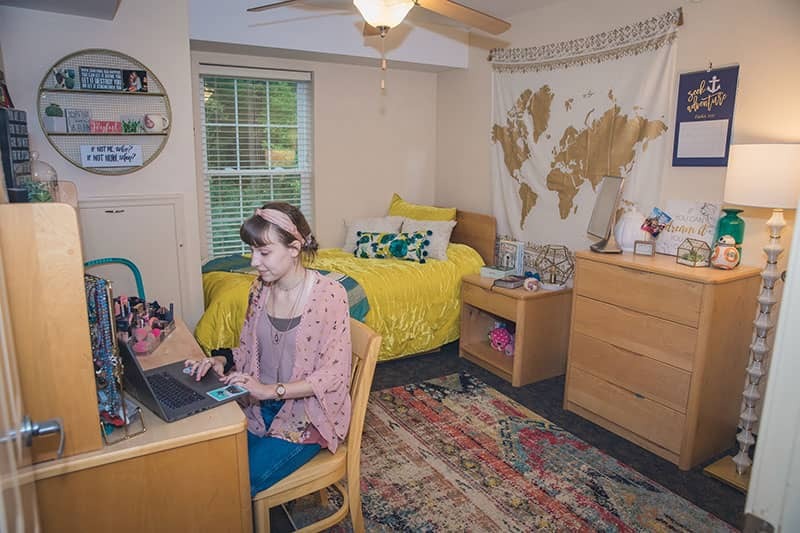 The Regent University Village is only available to offer housing to students that are single undergraduate or graduate students. The Village is approximately ¾ miles from the campus. 6) Are there grocery stores and shopping centers nearby? Several shopping centers near campus are easily accessible by automobile, public transportation and/or walking. Regent University also offers a shuttle service for students to retrieve groceries and other necessities on certain days of the week to stores such as Aldi, Walmart, Target, etc. No. Currently the university does not have storage units available. However, several storage facilities are located in the immediate area (ex. American Classic: 757.420.7676). Each apartment has a refrigerator, stove, dishwasher and garbage disposal. 10) How long is the student housing contract agreement? Student Housing contract agreement exists on a semester-to-semester basis. Your agreement automatically extends to the next semester if you do not submit a notice to vacate by the appropriate date before the semester ending period. The Student Housing contract agreement ending periods are May 31, July 31 and December 31. Students are required to vacate Student Housing during the semester ending period in which they graduate (graduating students are still required to submit a notice to vacate). Pets are not allowed in student apartments or anywhere on the residential area premises. This includes guests staying in your apartment. Please advise visitors to make other arrangements for their pets before visiting Student Housing. Fresh water aquariums with fish are permitted, but limited to 5 gallons in size. Security is provided 24 hours a day, 7 days a week by CBN/Regent Campus Police (in-house staff). We welcome prospective students and their families to stop by the Regent Village Housing Office for tours! Please give our Housing Office a call at 757.352.4895 to discuss what style of housing you are interested in looking at as well as dates. 15) Is transportation available between the apartments and the university campus? Yes. There is a shuttle service that provides transportation to students from Regent Village to campus and back. 16) Do the apartments offer Internet access? Yes. The university has a contract with Cox communications to provide internet and cable television in Regent Village. These services are inclusive within your student housing fees. On-campus housing is available on a first-come, first-served basis. With only 224 apartment units available in the Village, we generally run at 100 percent occupancy. We prefer to communicate with prospective students by e-mail, but current and prospective students may also call our office everyday (excluding holidays/etc.) Monday through Friday at 757.352.4895. The Regent Village Housing Office is closed from 12 – 1 PM daily for lunch and 11 – 1PM on Wednesday for Chapel services. Most housing assignments are finalized for the fall semester by July 1, the spring semester by December 1, and the summer semester by May 1. Please feel free to contact us if you have not received an assignment by the dates indicated. We do receive cancellations periodically. No. Apartments in the Regent Village come fully furnished. Additional furniture is not permitted. Mini-fridges may be brought with approval from the Regent Village Housing Staff. 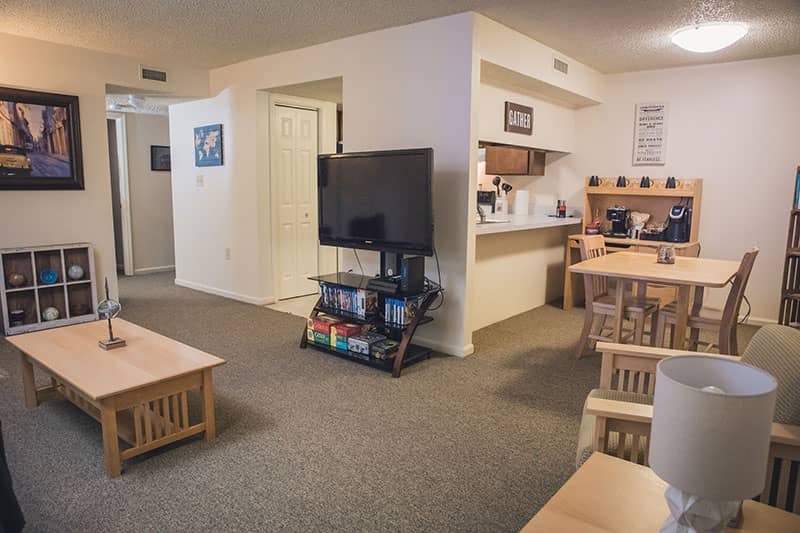 For nontraditional undergraduate/graduate students with single occupancy apartments, those are the only apartments that come unfurnished, so it is highly recommended that such students bring their own furniture. No. We do not have a swimming pool in either Regent University Student Housing facilities. Undergraduate students are required to move out over the summer semester unless they are working on campus, taking two on campus courses, or doing internships in the area during the course of the summer semester. Nontraditional/graduate students are not required to move out over the summer semester, but students are required to fill out appropriate forms/notify Regent Village Housing Staff to be accounted for over the summer. 24) Can I have overnight guests? Yes. However, any guest staying for more than three nights must register with the Student Housing Office. Also, if a guest is parking a vehicle in the Student Housing parking lot for more than one night, he or she must obtain a Student Housing Parking Permit from the Student Housing Office. Yes, but this depends upon your financial aid. Students are highly encouraged to discuss this further with Financial Aid prior to move in day either via email at finaid@regent.edu or telephone at 757.352.4125. 26) Where can I pay my application fee and security deposit? Please complete the application and submit it online to the Student Housing Office with a $30 non-refundable application fee. For students needing to pay for tuition, housing and/or fees please coordinate with the Regent University Business Office at studentaccounts@regent.edu or by calling 757.352.4059. 27) Where can I pay my student housing fees? You may pay your student housing fees campus at the Business Office (Administration Building, Room 134), or you may pay online with a credit card/electronic check through Genisys (login to your MyRegent portal, click the Genisys logo, and then click the Bill and Payment Center tab). 28) What furniture is included in the Regent Village graduate double-occupancy student housing assignments? For graduate students in Phase I or Phase II assignments, the following is provided for furnished apartments: (2) queen beds, (2) desks, (2) desk chairs, (2) dresser drawers, (1) TV stand, drop leaf table and chairs, sofa, blinds, refrigerator/freezer, stove/oven, dishwasher, and garbage disposal. All provided furniture and appliances cannot be removed from your housing assignment. 29) Does the Regent Ordinary offer meal plans? 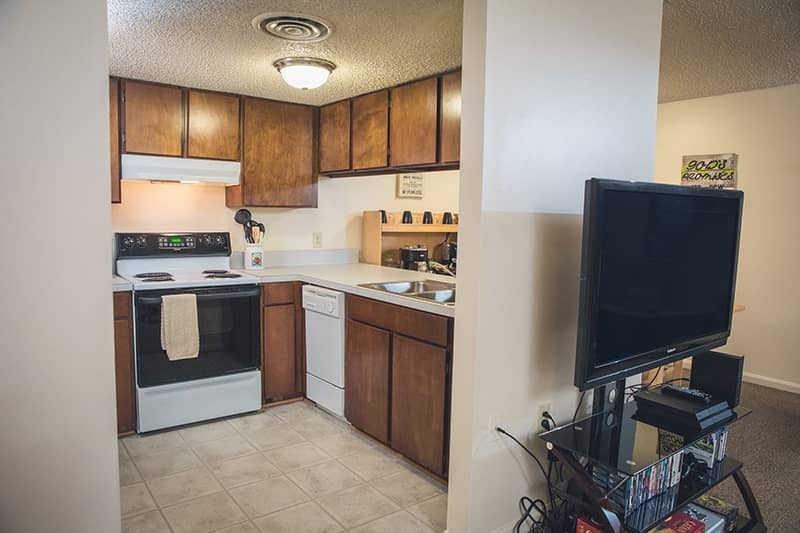 Since each of the apartments in the Regent Village have full kitchens which include an oven, but the Regent Ordinary does not offer meal plans for students. However, we have reloadable gift cards that can be purchased or reloaded with any amount at www.regent.edu/giftcard. All first-time freshmen who live outside of a 25-mile radius of campus and are intending to study on campus full-time are required to live on campus. In order to receive guaranteed priority housing in the Commons residence halls, students must have the following steps completed by May 1. We will still accept first-year freshmen applications after this deadline, however, we cannot guarantee housing in the Commons after May 1. 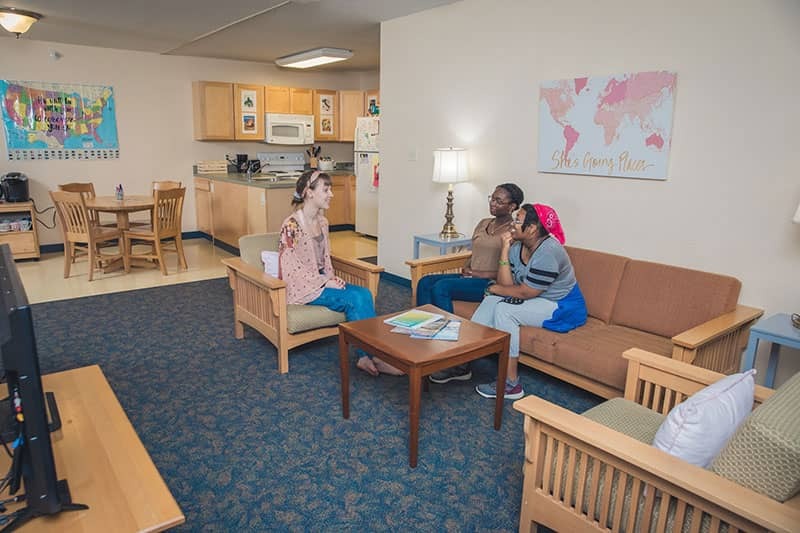 Our goal is to ensure that all first-year freshmen receive guaranteed housing in the Commons, fully furnished apartments just steps from the heart of campus. If you have any questions about your admissions application, call your Enrollment Counselor at 888.718.1222, email regentundergrad@regent.edu, or visit our Admissions page. Please direct housing questions to the Housing Office at studenthousing@regent.edu, 800.373.5504 or 757.352.4890. 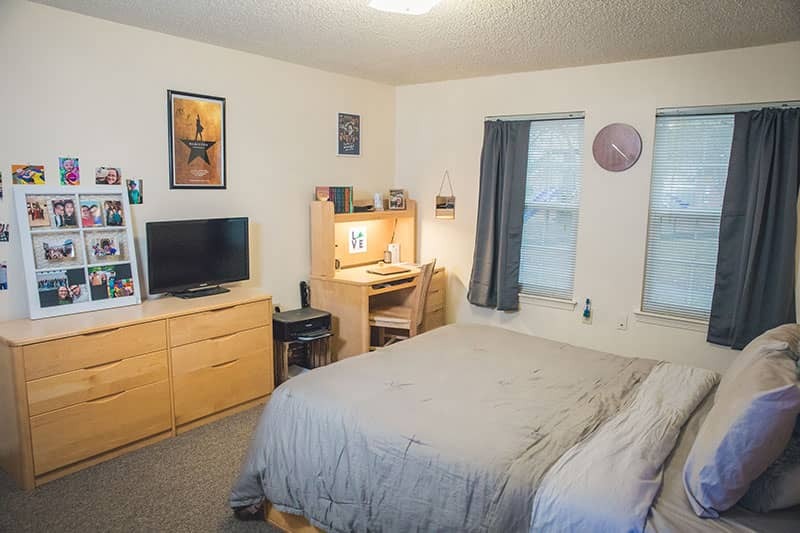 Student lives with parent(s) or guardian(s) within 25 miles of Regent University. These students will be considered commuter students. Student is active duty military. Copy of military ID, activation papers or letter from recruiter will be required. Student is attending Regent on a part-time basis, defined as less than 12 credit hours a semester, or attending online only. Student is married, engaged, or pregnant. A copy of marriage certificate, wedding announcement, or medical documentation will be required. Student has financial limitations. If the student is independent and receives no support from parents; or in the event of loss of employment by a supporting parent, a letter from the parent stating such will be required. Other financial considerations must include a signed release permitting Regent Student Services office to review the student’s financial aid status and a written budget comparing costs, including utilities, cable, internet, telephone and rent. Student has an existing medical condition that would be aggravated if the student lived in university housing. A letter from a physician verifying condition will be required. Student has other compelling reason to reside off campus. A detailed written explanation will be required. All appeals must be in writing using the University Housing Appeal Form along with all supporting documents. This form must be submitted to the Academic Advising Office no later than May 1. Students will be notified within 10 business days whether the appeal has been approved or denied, or if more information is needed. Submission of an appeal does NOT release the student from his or her obligations to the University, nor are all appeals automatically approved. Please plan accordingly. Step 2: After acceptance is confirmed, must submit the combined enrollment agreement and housing application and pay appropriate deposits online (if applicable). If you have any questions about your admissions application, call your Enrollment Counselor at 888.718.1222, email regentundergrad@regent.edu, or visit our Transfer Students Admissions page. 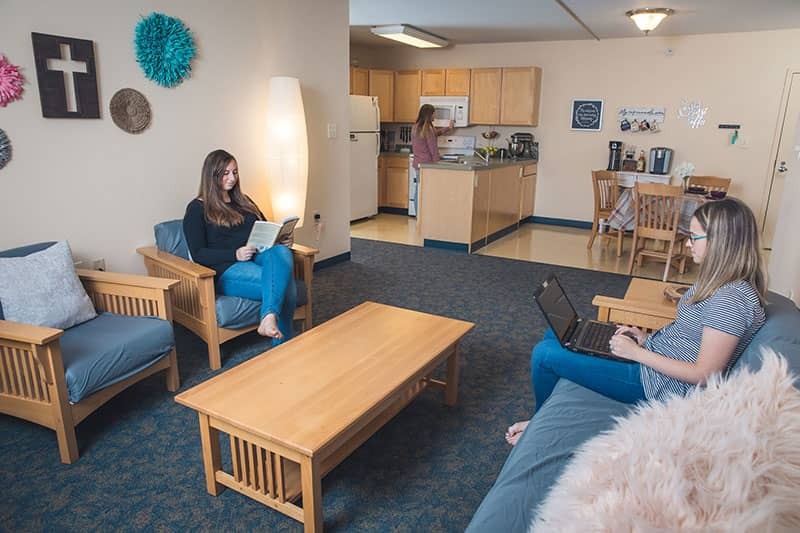 The Office of Residence Life provides an off-campus referral service that includes listings of individual rooms, apartments, townhouses and houses for rent. Only Regent/CBN employees can post listings. To view these listings, click here (MyRegent ID and password is required). If you are a Regent/CBN employee who would like to post a listing, click here (MyRegent ID and password is required). The information provided on this site is solely for the convenience of Regent students. The fact that a premise is listed should not be considered as a recommendation or endorsement on the part of Regent University. The listings have not been inspected by Regent University nor have any steps or investigations been undertaken to confirm the accuracy of the information provided, nor the suitability of the accommodations for residential purposes. It is the responsibility of the student to contact the landlord directly. Regent University highly recommends a personal inspection of the premises and a thorough review of all arrangements with the landlord. Any student who does not feel qualified to entertain these investigations should seek parental advice or professional assistance. Students are also warned that as tenants they may potentially incur risks which expose them to personal liability as occupiers of property. All students are encouraged to review the issue of insurance with their landlord and/or their own insurance agents. Regent University assumes no responsibility in respect of the condition of the premises in question, the lease terms negotiated with the landlord, nor any other matter related to the leasing of the premises.